So excited about this one. 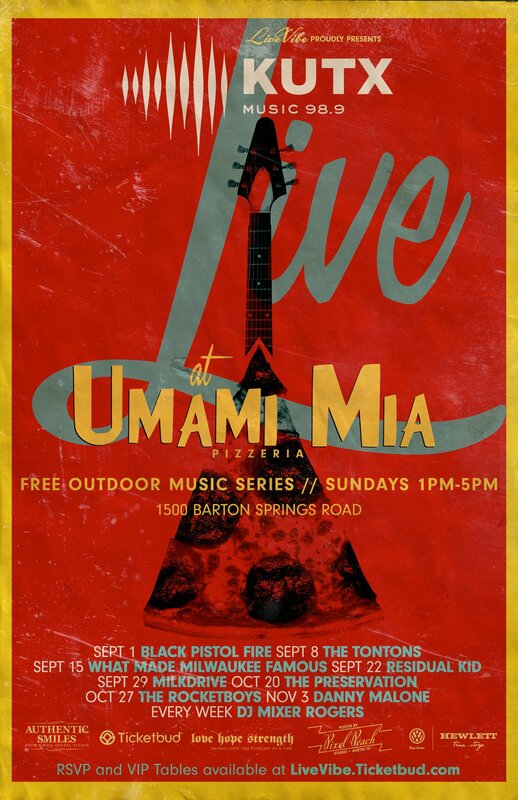 Starting Sept 1, I will be joined by some great bands, at the new Umami Mia Pizzeria on Barton Springs EVERY SUNDAY from 1-5pm. Presented by The Live Vibe Collective & KUTX Austin. I will be spinning Austin Centric jams mixed with some of this years festival favorites. Oh and it’s free. Come make Sunday a fun day with me at Umami Mia Pizzeria. This entry was posted in Shows and tagged Austin, Barton Springs, DJ, KUTX, live vibe collective, Mixer Rogers, Music, Party, TX, Umami Mia, Weekly. Bookmark the permalink.